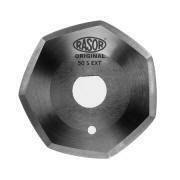 Rasor FP503 heavy duty air powered round knife cloth cutting machine fitted with 50mm (approx. 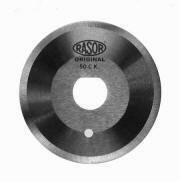 2") blade and carbide counter blade for scissor like precision cutting. More powerful, faster, lighter and less noise when compared with the previous Rasor FP50 model. 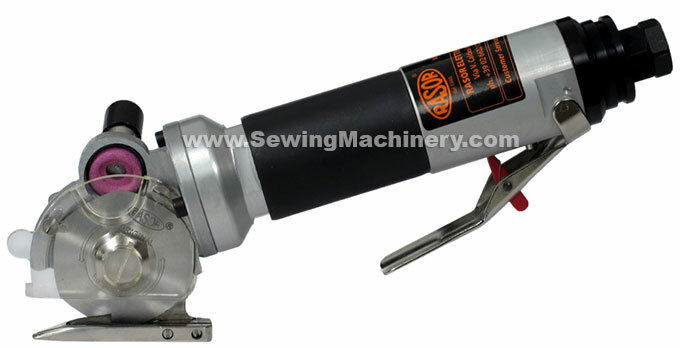 This versatile industrial cutting machine is for use with many materials; It is light weight, highly manoeuvrable and suitable for heavy duty production use. A multi sided round knife blade is fitted as standard, which is in constant contact with the counter blade, to give scissor actuate cutting with-out operator fatigue. Rasor machines are manufactured in Europe so you can be assured they meet with the relevant EC machinery safety directives. *subject to air supply & set up etc.